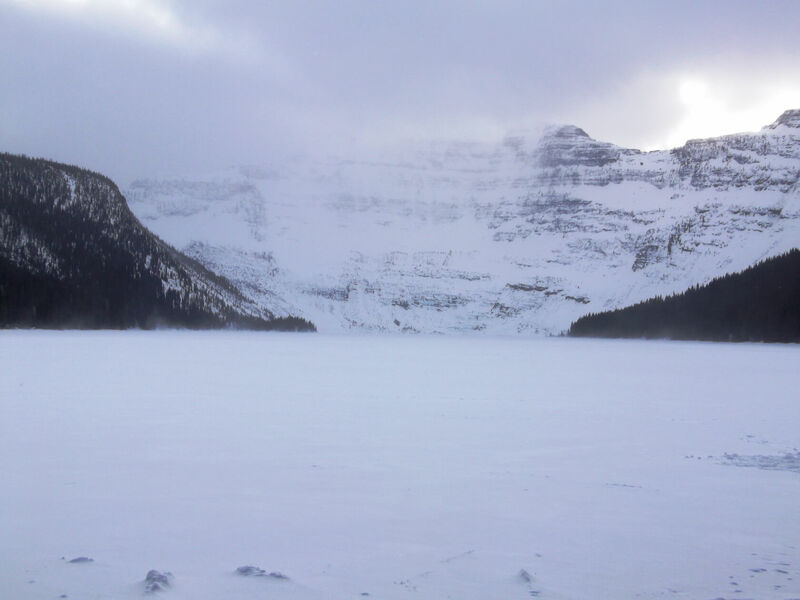 Last Saturday, I went up to Waterton sans boyfriend with ipod in hand to try out my new snowshoes. Since I was by myself I didn’t feel like going off onto a trail in the woods like Rowe or Crandell, so I went on the Cameron Lake trail since it is open and has a lot of people there during the weekends. 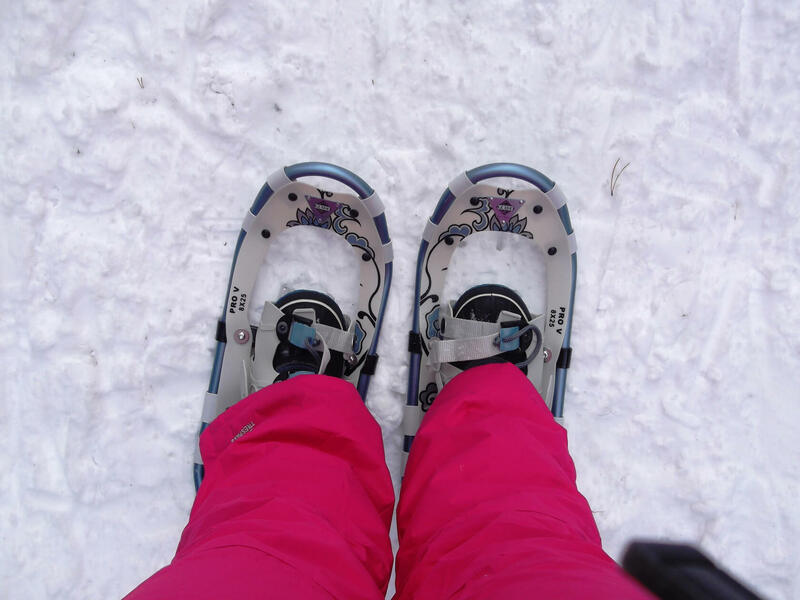 I learned that my snowshoes are not walking snowshoes, they have some major claws on the bottom and were made for serious hiking, therefore the walk on the compact snow on Cameron Trail was kind of boring. I went off trail for a bit to try out my snowshoes on fresh snow and different terrain. They worked out great but was it every a workout lifting my feet in that snow with those shoes on! I made it to Cameron Lake finally, huffing and puffing and happy to see it again. After I was done and changed, I was literally drenched in sweat from the workout and my bum was already feeling sore. According to the Self Calorie Burn Calculator I burned 1120 calories. I met up with my old Waterton roomie Keirstyn for dinner (awseome brushetta, a huge cheeseburger and sweet potatoe fries) and a long overdue catch up. All in all, it was a lot of fun, but I am definitely going to go on some more challenging trails with them and I’ll take Ryan or a buddy with me too.